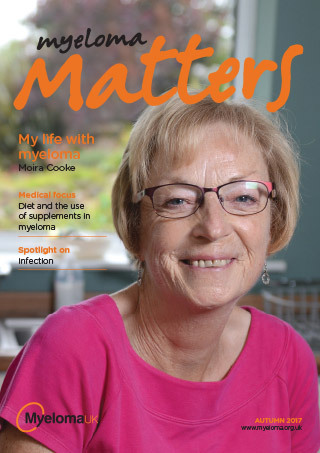 Being diagnosed with myeloma can have a knock-on effect on those around you. How myeloma affects those you care about most can bring new challenges. A myeloma diagnosis will affect many people, not just the patient. It can bring significant changes to your relationships – with your partner, your children, other family and friends. 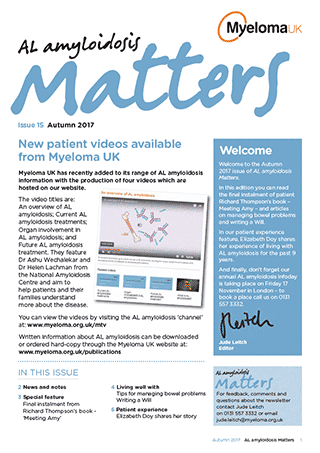 Each relationship is unique and myeloma will affect them differently – however, changes in roles are common, which can be difficult to adjust to. Shifting to a patient/carer dynamic can be hard for partners and can bring feelings of anger and guilt. Discussing myeloma with children can be particularly hard. Our children’s book, Kelsey and the Yellow Kite, is written in a child-friendly way and tells the story of a girl whose dad is diagnosed with myeloma. Coping with the changes in your relationship can be difficult. Feelings of loss and sadness are common, as well as anger and guilt. However, talking to your family and friends will help bring an understanding of how you are all feeling and what your needs are. In some cases, myeloma can bring positive changes to relationships. It may give you a shared focus and help you reassess what’s important. You may have an increased desire to spend quality time with your family and friends which can strengthen relationships.